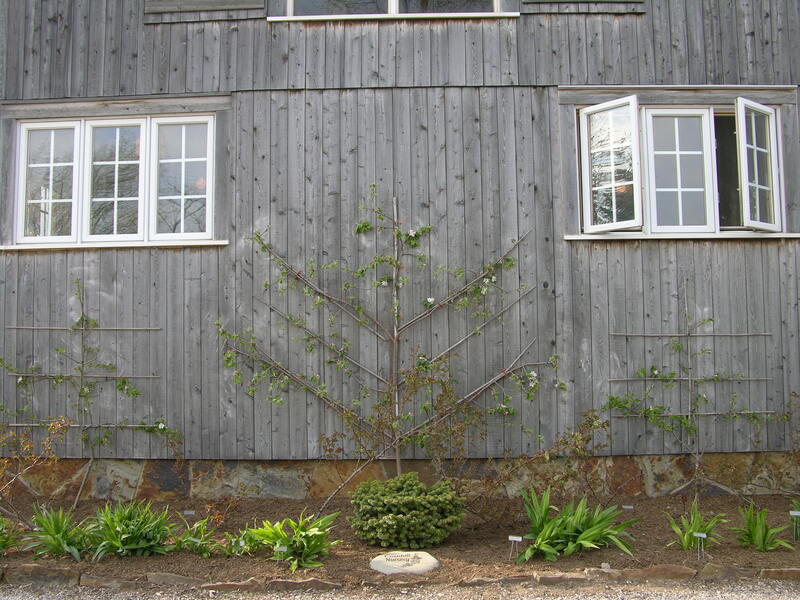 We specialize in the production of hardy apple trees. 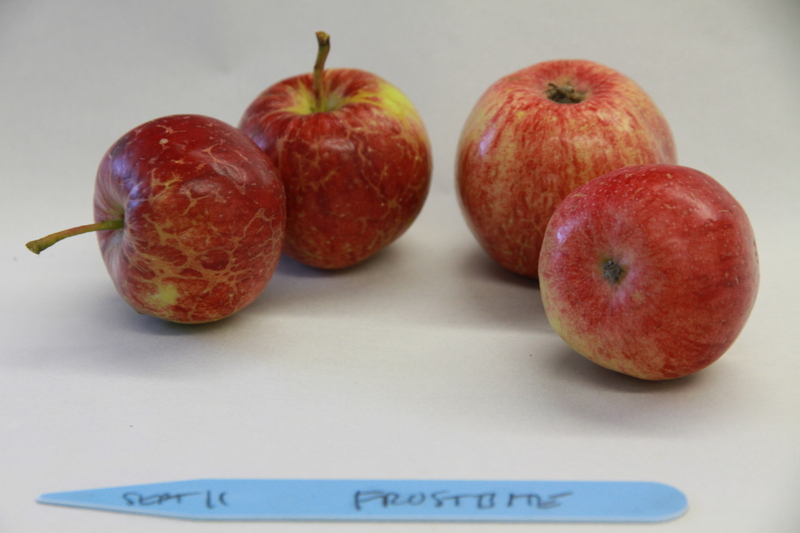 Apples are created by grafting a bud of the cultivar desired onto a rootstock. 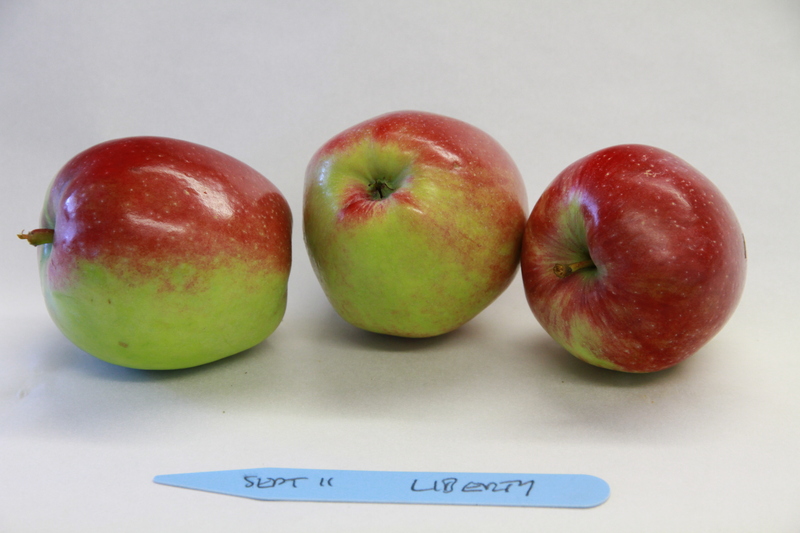 The cultivar produces the fruit you want, while the rootstock influences tree size, productivity, precocity and hardiness. 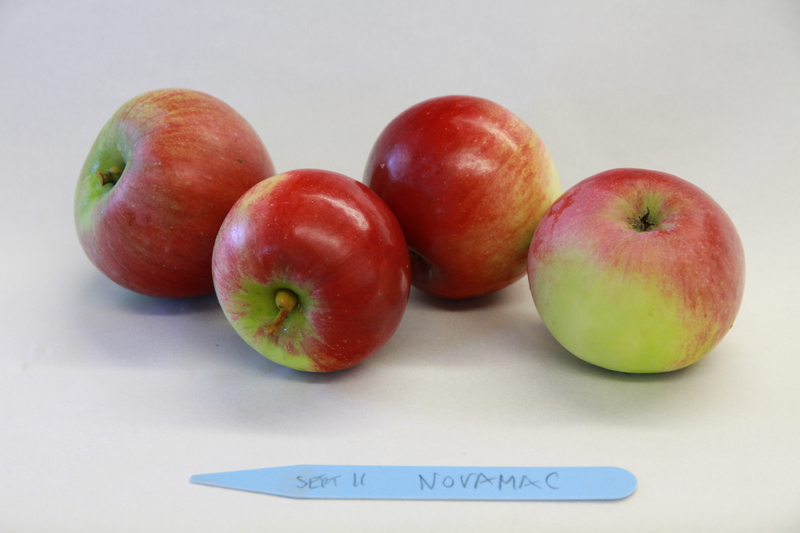 We use Russian seedlings of ‘Antonovka’ and ‘Beautiful Arcade’ to produce full sized trees (actually 65% of standard). 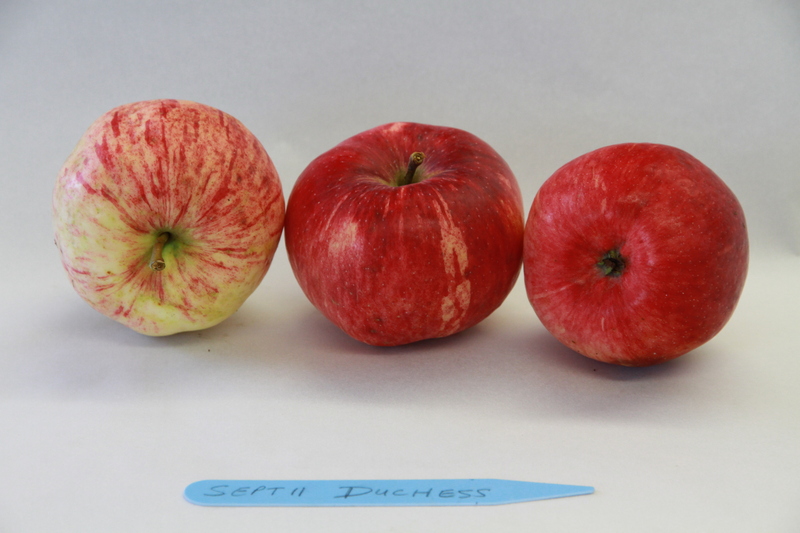 Please note that we can ship 1yr bare root apples for normal mail order rates, however each shipment charge will cover a maximum of 4 apples (what will fit in a box), so for example if you ordered anywhere from 5 to 8 apples, you would pay for 2 shipments, from 9-12 you would pay for 3 shipments, etc. However, these will be shipped at the same time. If the trees are longer than the box we will prune the tips to fit. 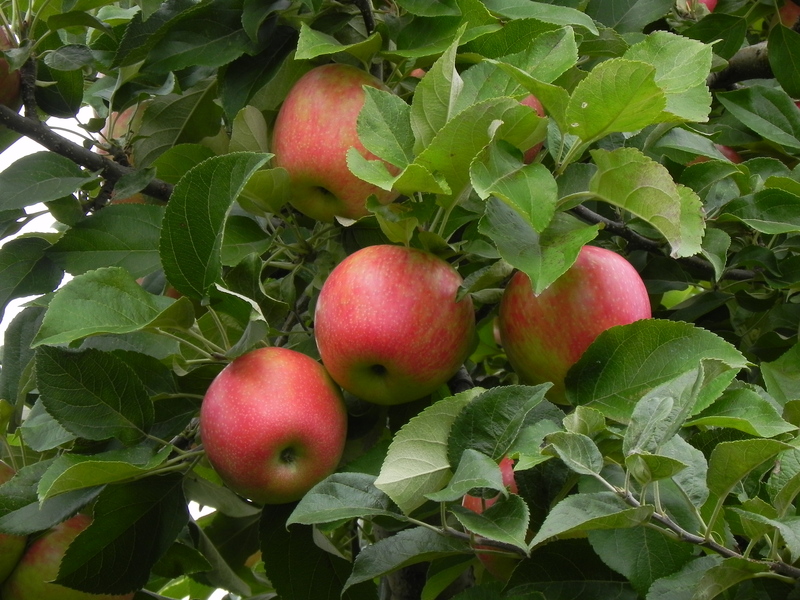 These apples are resistant to a wide range of diseases including apple scab and mildew. 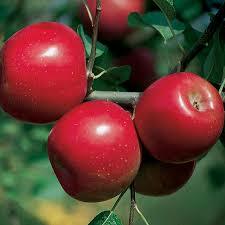 They represent a new generation of healthy apples that are perfect for the home gardener. 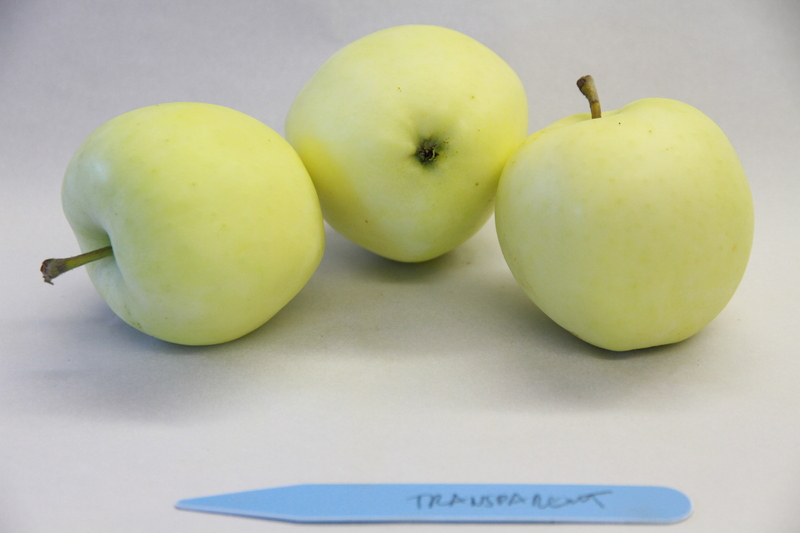 These have superior flavor and are reliably heavy producers. 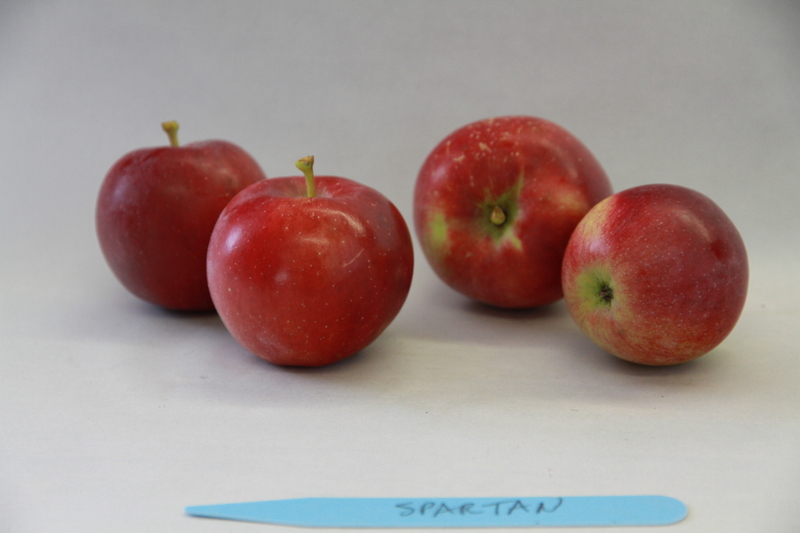 Excellent fruit quality combined with disease resistance. Can be stored for up to 6 months at 1º Celsius. 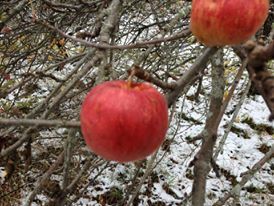 A large red apple from Geneva, NY. Used for both fresh eating and cooking. Crisp, sub-acid flavor. Vigorous tree. 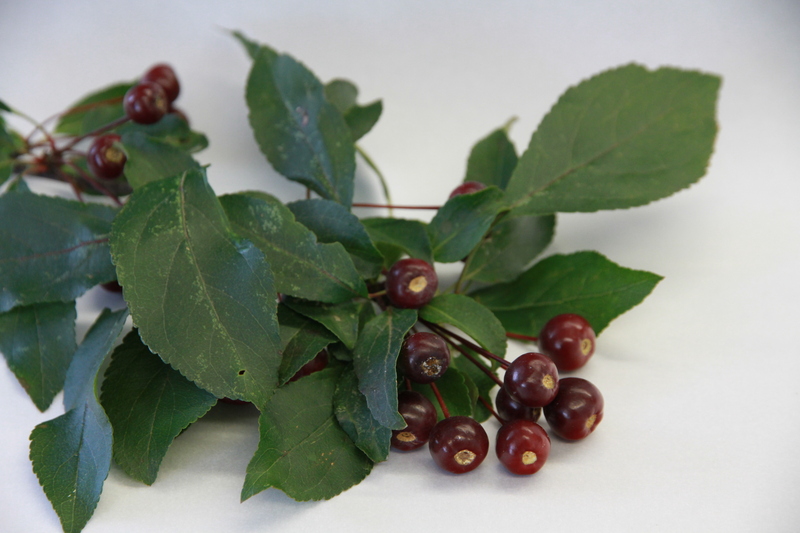 Superlative variety resistant to a host of diseases. 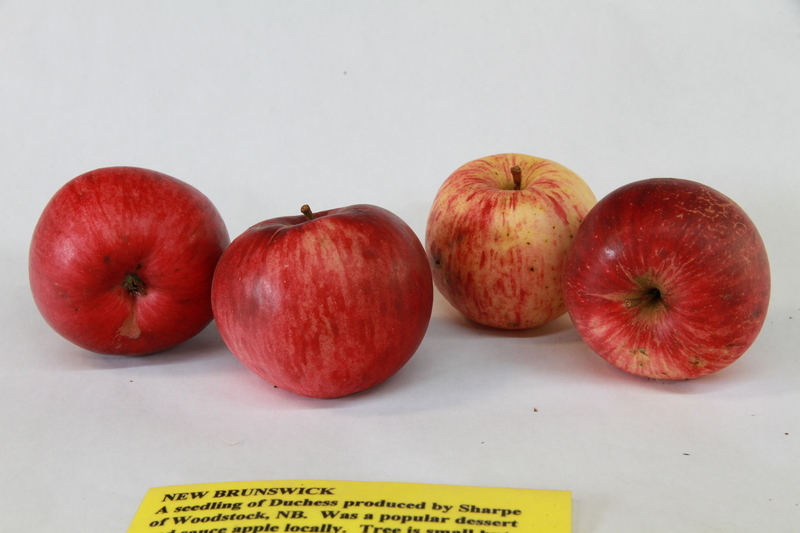 Exceptionally high quality apple from Kentville, NS. 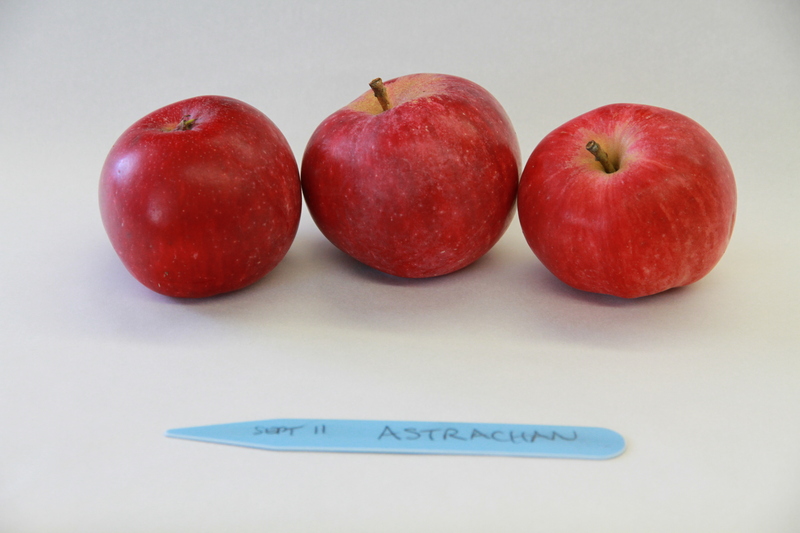 One of the very finest early apples, keeping crisp for some time. Flesh melts in the mouth and has fantastic flavor. 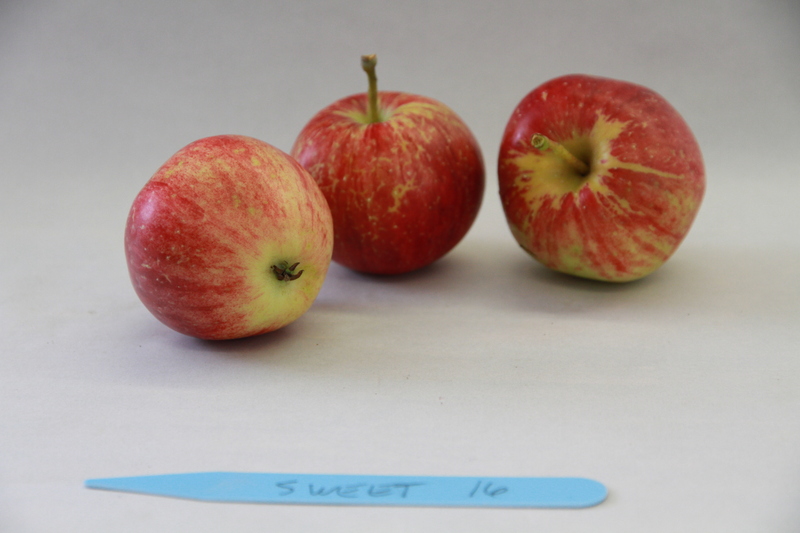 One of the best new early varieties. Excellent flavour. Darkest red colour. Bears fruit annually. 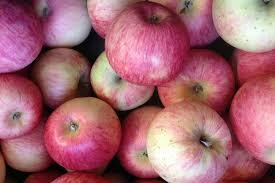 as their colors, textures and flavors add spice to the lives of apple lovers everywhere. 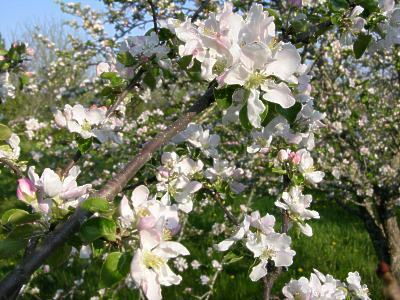 Older Russian variety used in many historical orchards. 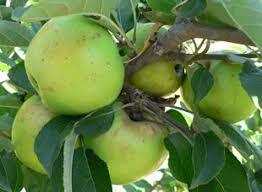 Fruit is very large and conical with firm flesh. Used mostly for baking. 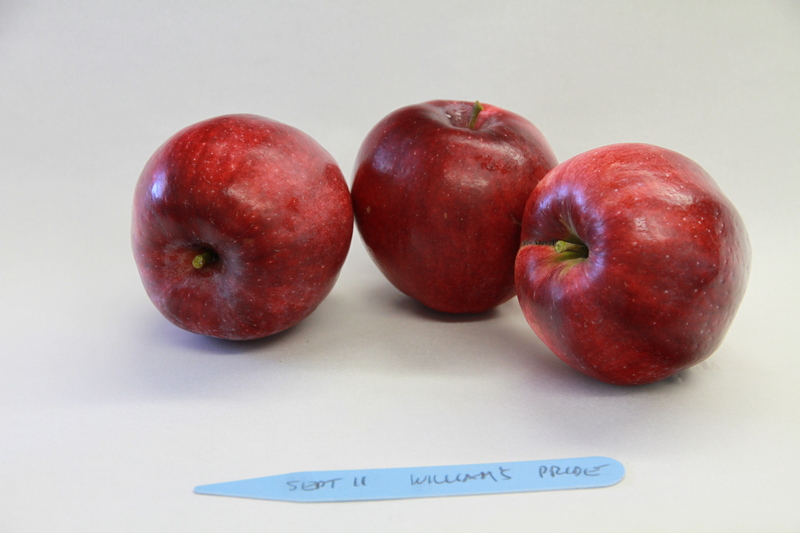 Related to the 'Blue Pearmain' types. Round to conic with deep purple-carmine skin. Crisp, sub-acid. 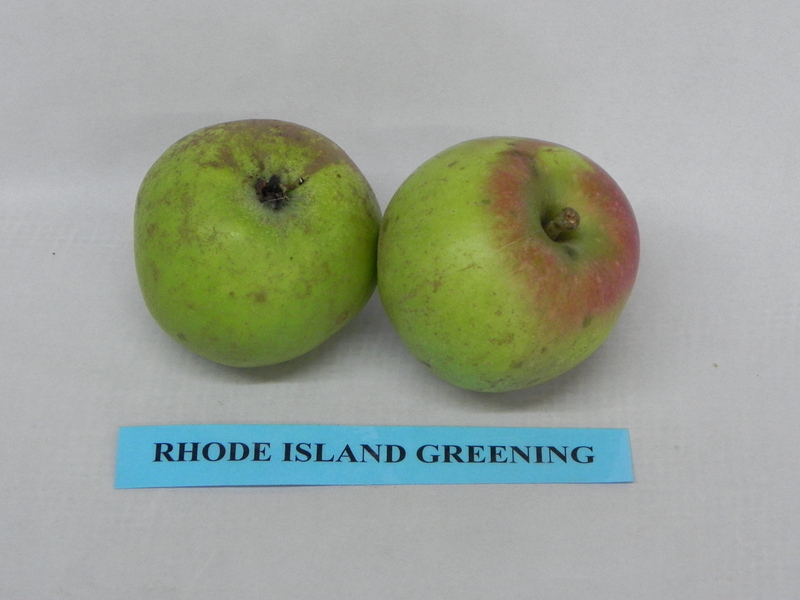 Superb old variety from England. 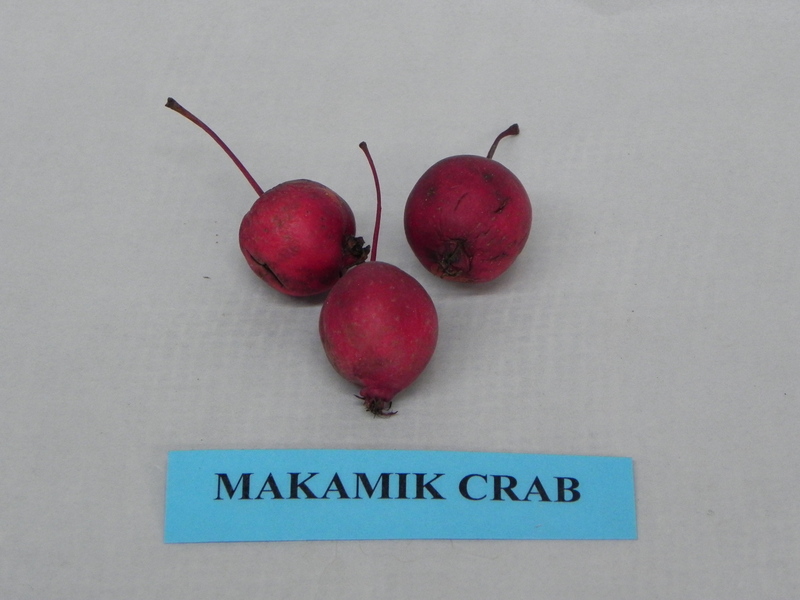 Round small fruit is orangey-red. Flesh is crisp and aromatic. pink veining. Probably the mother of 'McIntosh'. 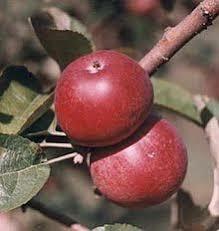 Leather-colored russet skin covers a spicy, aromatic, fine grained flesh. annually. 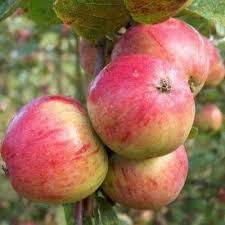 Still one of the most popular early apples. Excellent for sauce. Developed by F.P. Sharp in Woodstock, NB. Probably a seedling of 'Duchess'. 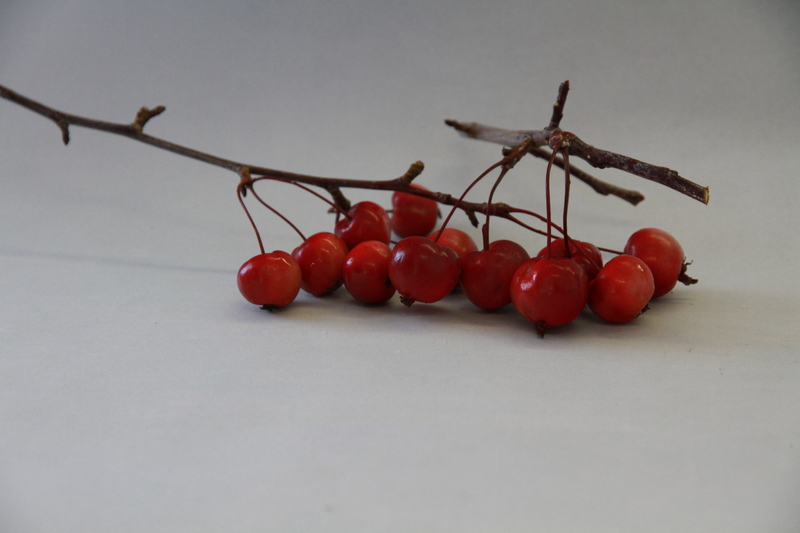 Small tree noted for its aromatic fruit. 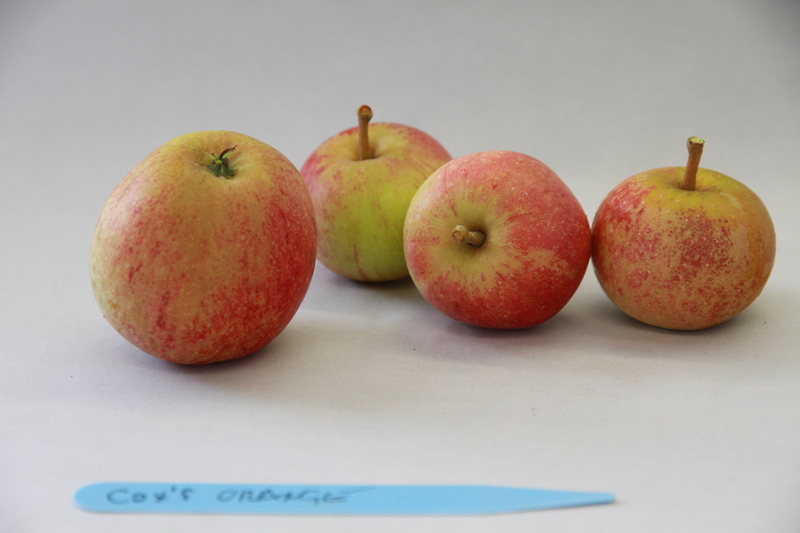 Very old russeted apple with a superb flavour, now very rare. 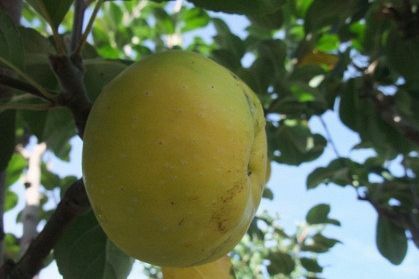 Large pumpkin-shaped fruits are yellow-green. 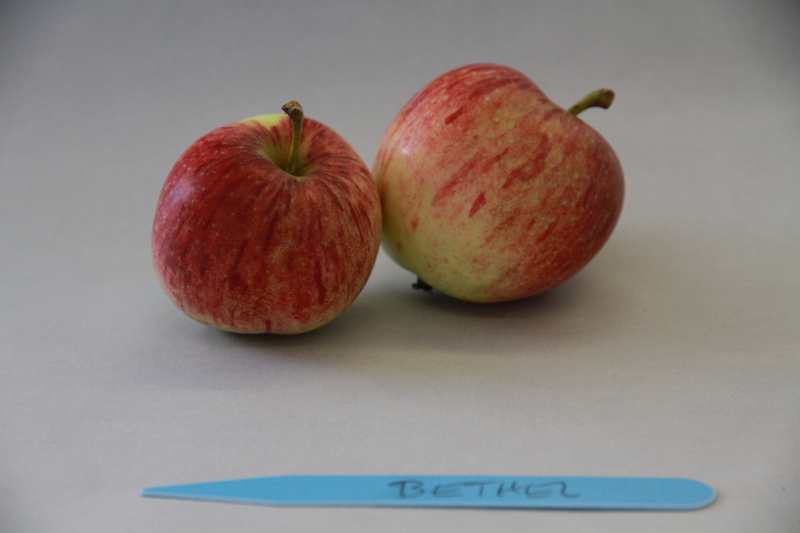 This was treasured as the finest baking apple. 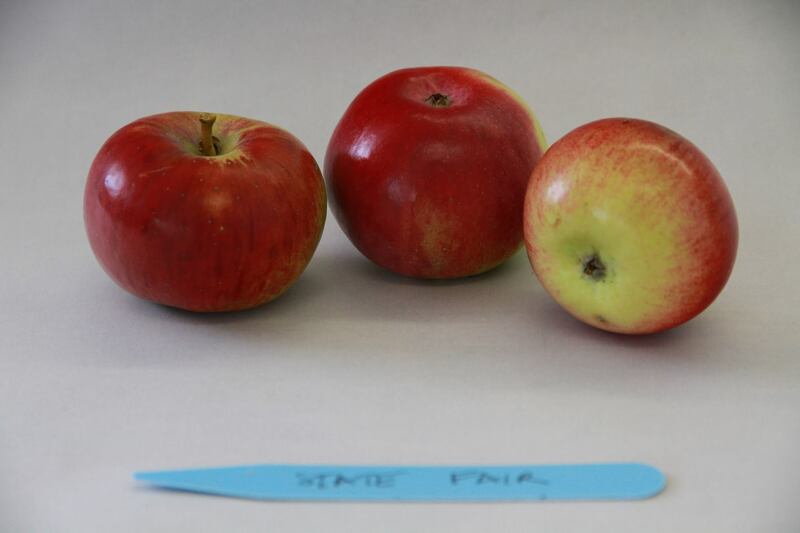 Old Swedish apple with fine crisp aromatic flesh and red skin. Once in every old orchard. 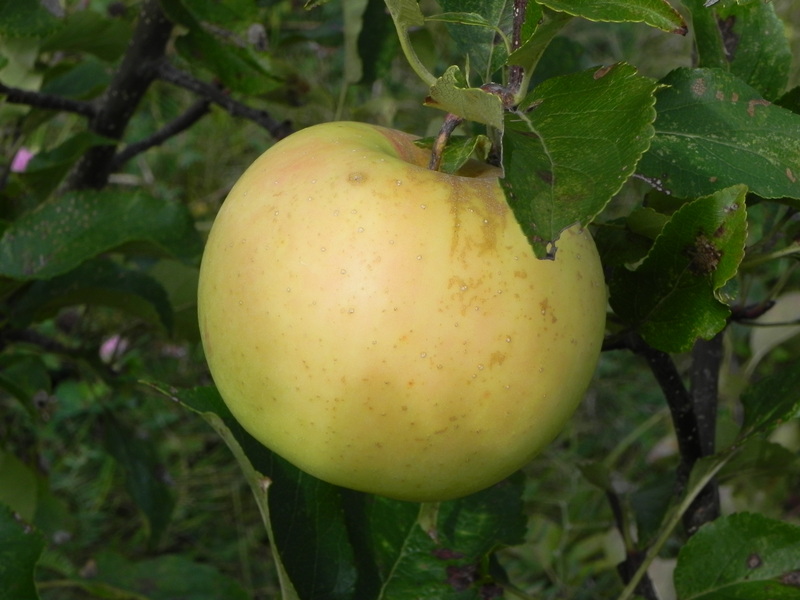 The most famous cooking apple in 18th and 19th century North America. 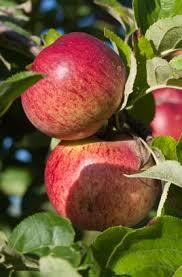 Its sprightly fruit produces superb pies. 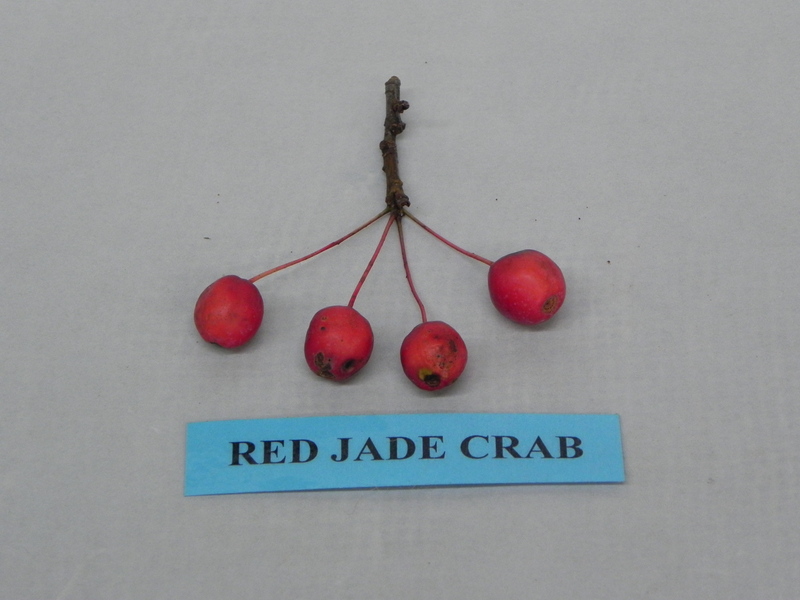 The first named cultivar in America. Found in the 1600s. 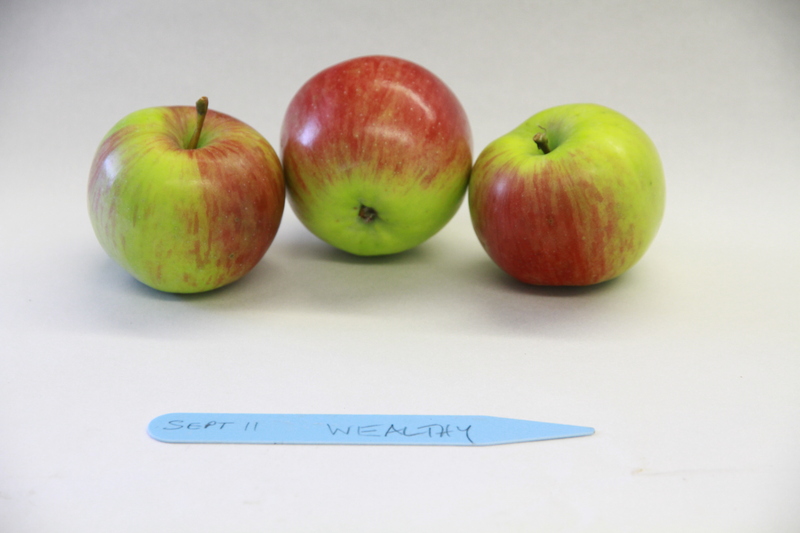 Northern Spy cross. Excellent for baking and uniquely flavoured dessert. Very disease resistant. 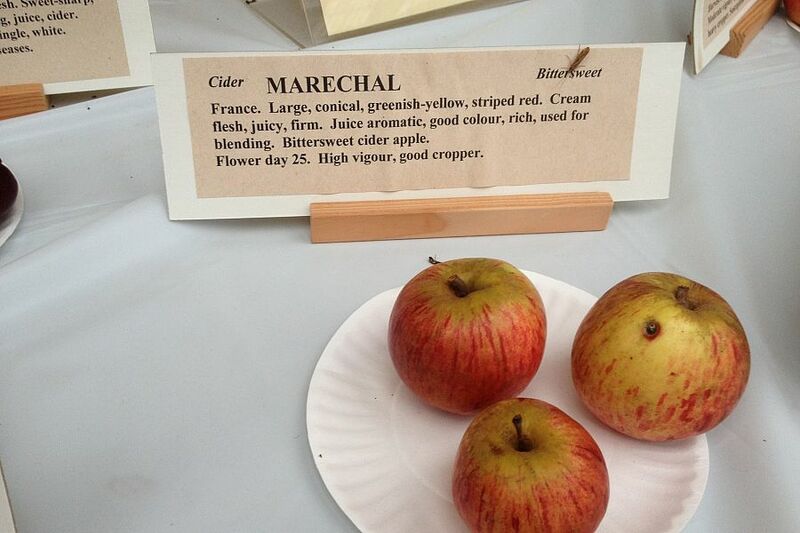 Another very early cultivar found in the 1600s. 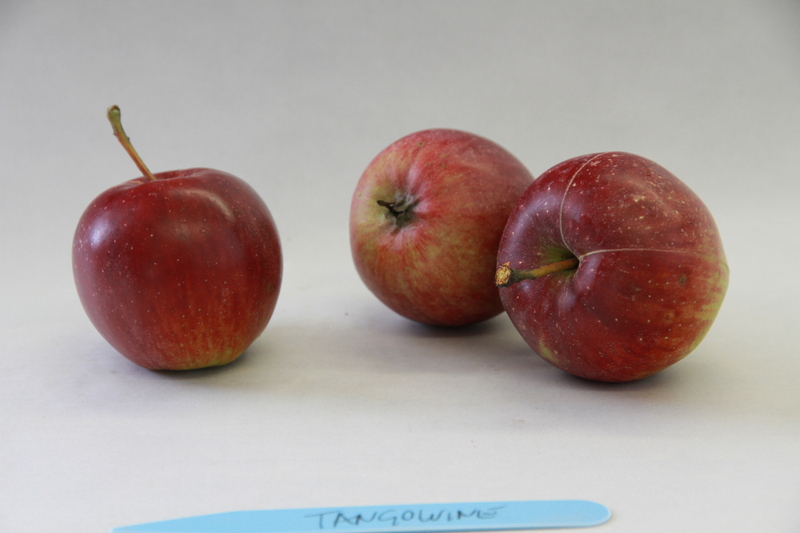 Very tasty apple that is the most disease resistant to insect damage we have ever seen. Originated in Minnesota in 1860.
sauce. 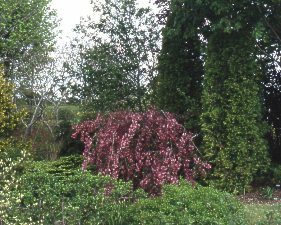 Tree is small, very hardy and healthy with some scab resistance. flattened fruit. Those who know it love it! 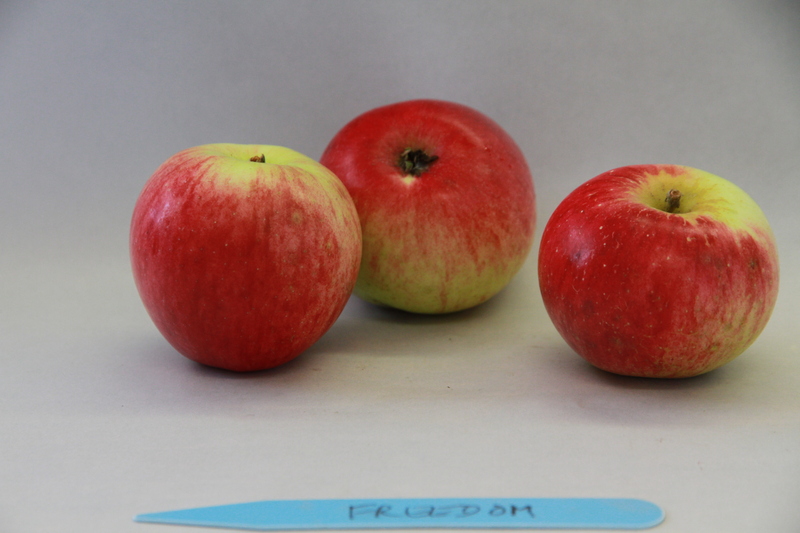 A freshly picked cortland takes a second place to no apple. 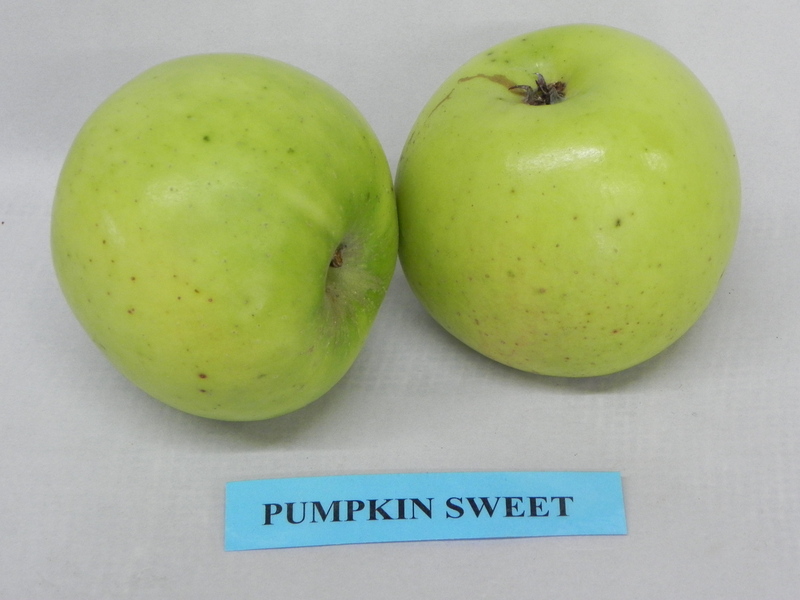 Used for both dessert and cooking as it does not readily brown when cut. an intense flavour unlike any other, with hints of sugar cane and nuts. 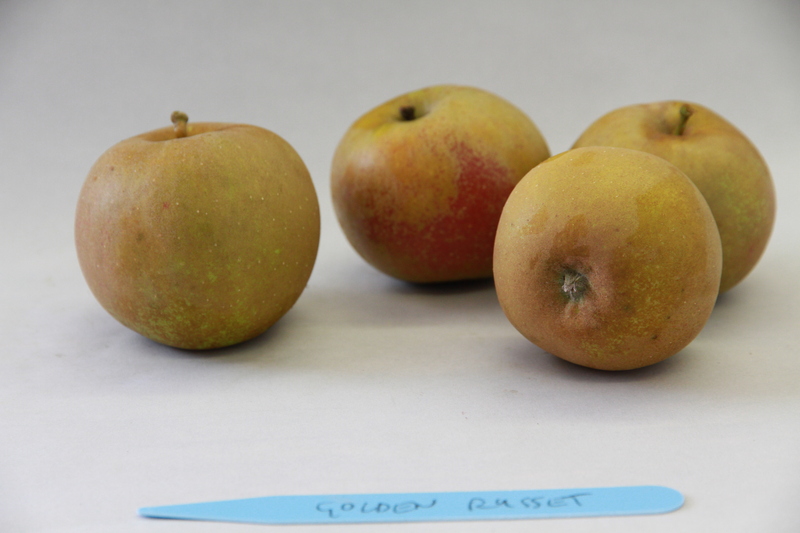 An English variety that we love. 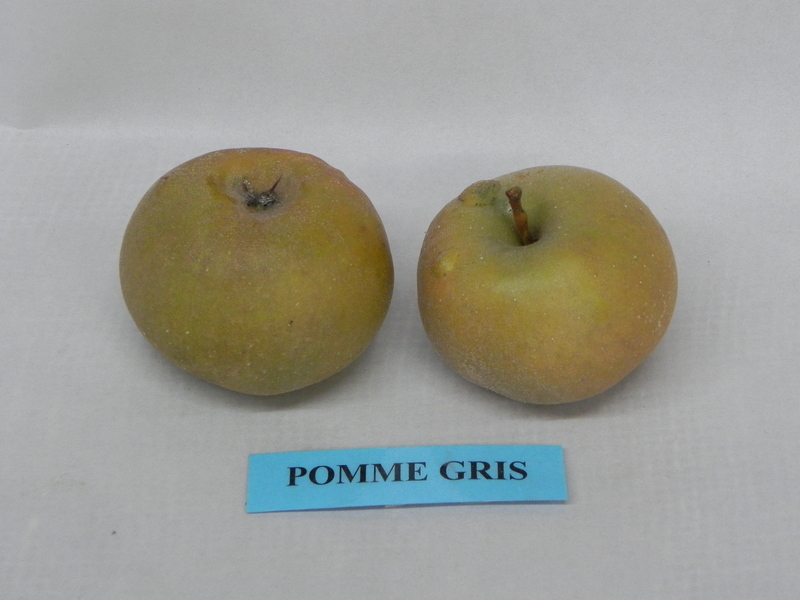 Green fruit turns yellow at maturity. 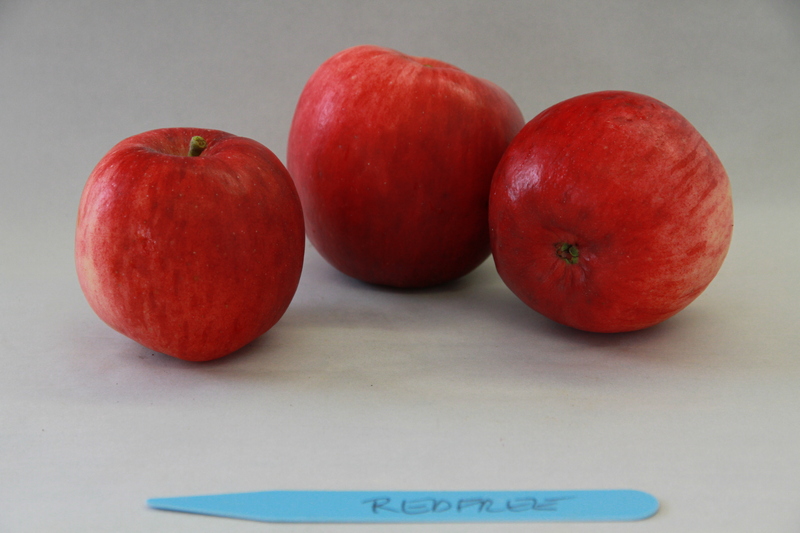 Superb flavour and disease resistance. Should be in every orchard. 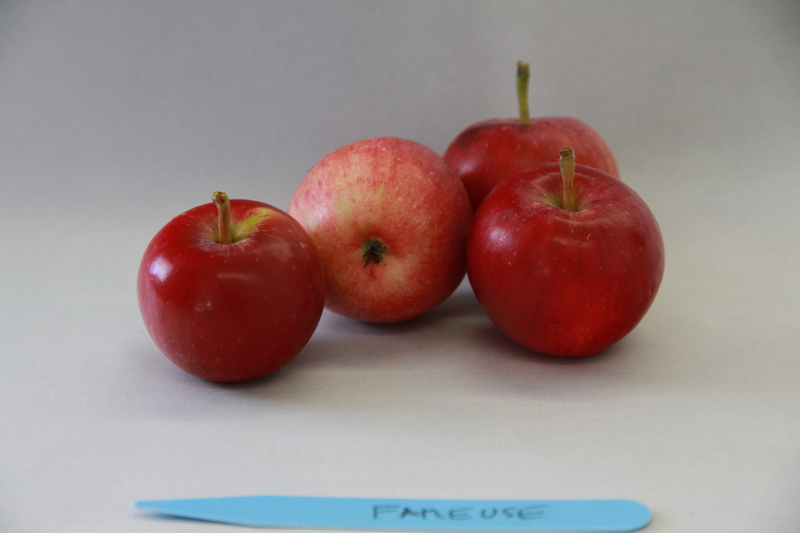 Hardy new apple from Minnesota that is taking the apple world by storm. Under good storage conditions it keeps till spring with the same crispness. 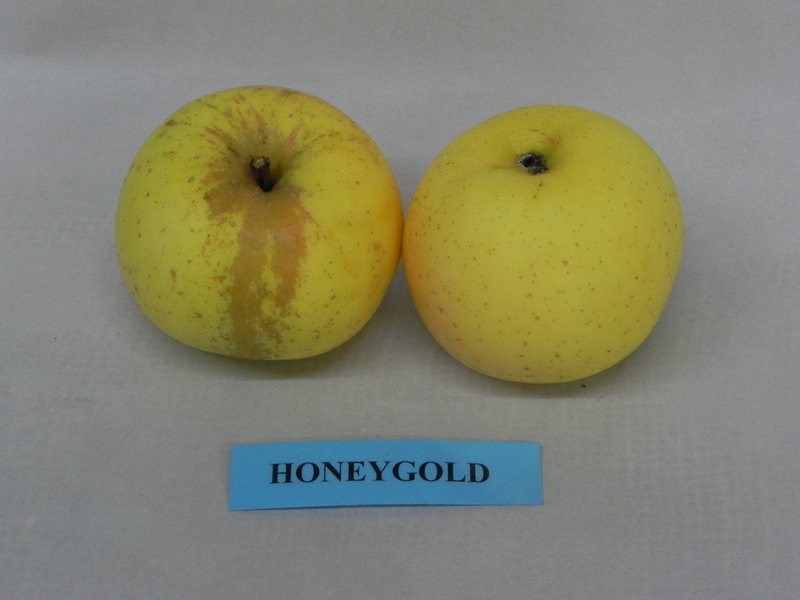 A hardy Golden Delicious cross that resembles its parent. 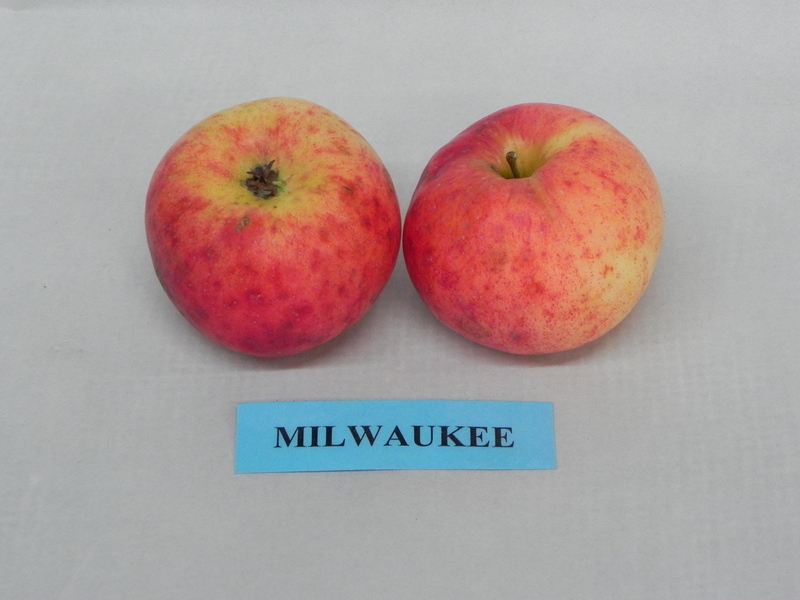 A Minnesota apple with extreme hardiness and great flavour. 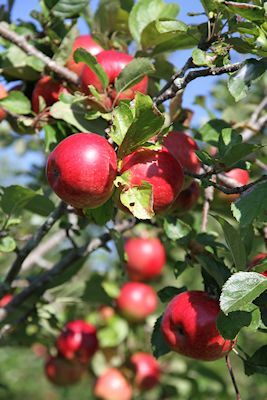 Although any apple can produce a cider, the following are prized for their ability to make a first class hard (alcoholic) cider. 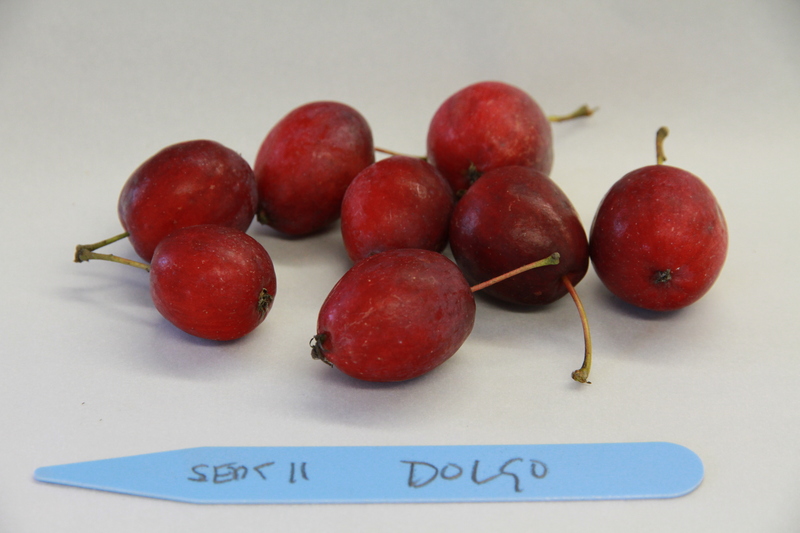 not available we will substitute with another rootstock unless noted otherwise. Full bittersweet of vintage quality, found in 1850. 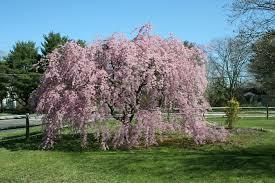 A very hardy and healthy tree that is covered by deep pink flowers in spring.